computer services, computer repairs, computer repair, computer installations, computer support, computer maintenance, computer repair services, computer troubleshooting, pc repair, pc support, pc services, pc consultant, pc consulting, pc troubleshooting, hardware repair, data recovery, computer repairs Texas, IT professionals, IT consulting, pc service, computer system consulting, computer system consultant. 56% of all PCs will suffer at least one episode of data loss in 2007. 40% of laptops suffer hardware failure and resultant data loss within the first three years of use. Every year statistics from insurance companies show that about 10% of all PCs are either lost or stolen. 69% of business computer users backup their data less than once a month if ever. Nearly one in four computers has lost content to viruses, blackouts, or electrical failure. Statistics show most people do not take the time to regularly back up their computer files! 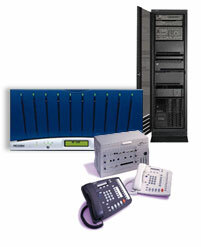 Contact us today for a low cost automated back up solution. Is your specific computer equipment or hardware having problems, stopped working or needs repair, service or support? We support many makes and models of computer, networking and technology brands in a broad range of categories, such as computers, routers, printers, VoIP phones, legacy systems, network cameras and many other IT devices and components. We can schedule support the same day or within 24 hours in many cases depending on your location. Browse our alphabetical list of equipment manufacturers below to see if we support your particular brand. You have have a specific make and model you need help with or If your device is not listed, please call us to see if we can help.